Server monitoring is the task of ensuring that your web site and office network are reliable and operating smoothly. Traditionally, a server administrator is responsible for monitoring the Central Processing Unit of the computer system, ensuring there is plenty of Random Access Memory (RAM) available, keeping the hard disk healthy, and troubleshooting hardware and environmental problems. Like many technological tasks and services, server monitoring is headed to the cloud. Cloud computing monitoring allows a company to contract out sever monitoring to a third-party instead of hiring a dedicated server administrator. The entire job can now be done without the server monitor stepping foot in the company’s offices. The main disadvantage is obvious to managers who have experience with outsourcing: you lose a piece of control. If you contract out computing monitoring to another company and there is a problem, or Tim Berners-Lee forbid the entire server system goes down, you can’t just walk to the IT department and ask what happened. Instead, you must place a call and hope the company answers and isn’t too busy dealing with other clients. There is something reassuring about being able to stand over someone’s shoulder until they give you answers. The advantages, however, are more subtle but numerous. Most mid-sized to large companies rely on email, Voice Over Internet Protocol, and FTP on a daily basis just to function. Research has borne out what online shoppers know from personal experience: the faster your web site loads, the longer customers will stay on the site and the more money they will spend. If any of these tools break because of a central server malfunction, the company will languish until it is fixed. Previously, a company had two choices: either hire a dedicated person to monitor the system at all times and be there in case it breaks, or hope the non-specialized IT guy can figure out the problem eventually. Thanks to cloud computing, companies can now contract with a team of professionals who can fix it quickly when it breaks but don’t need to be there the rest of the time. Cloud server monitoring is not only more economical for mid-sized companies, but also offers far greater tools and functionality. The core function of server monitoring, on or off the cloud, remains monitoring CPU, memory, bandwidth, and disk utilization. Some companies even integrate with outside server software like Citrix XenServer and specialize in certain types of servers. Other companies promise advanced protection from attacks and malfunctions. This can include stopping DDOS attacks, backup restoration, and server hardening. The advantages of outsourcing server monitoring to a cloud computing monitoring third-party makes a compelling case for taking a company or two out for a test drive. Most firms offer a free trial, and the number of firms offering different services is quickly growing. 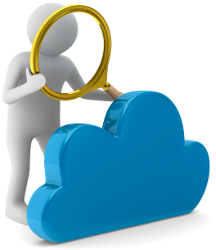 Have you tried cloud server monitoring? If so, how was your experience? If not, what concerns still remain? Porter is a writer and content specialist for USBundles.